Claire Dambawinna | Yoga Kula. I teach hatha and ashtanga yoga. My teaching style has an emphasis on alignment and mindful, breath-led movement. My classes include a well tuned balance of precision and flow and my teaching is inspired by my own yoga experience and personal practice. I have a deep interest in anatomy and a fascination with the innate power of the breath to support movement, unwind tension and aid our physical and emotional wellbeing. My classes are welcoming and accessible for everyone with sequences carefully designed to build strength and flexibility and ultimately leave participants feeling relaxed, energized and focused. I’ve been practicing yoga since 2001. I started attending a weekly Iyengar class after moving to London and was completely hooked from the start. I remember leaving class with a clear head, springy limbs as well as feeling light as air. In 2003 I decided to try Ashtanga Yoga and so began a my strong relationship with this approach to yoga. In 2009, I became a student of Joey Miles and have maintained a regular practice under his guidance ever since. In 2015 after almost 15 years of dedicated practice I felt I was ready to take the step to train as a professional yoga teacher. I was accepted onto and began a two year British Wheel of Yoga and Yoga Alliance accredited Triyoga Teacher Training Programme. Under the expert tuition of Joey Miles and Anna Ashby (Asana), Carlos Pomeda (Philosophy), Chris Swain and Andrew McGonigle (Anatomy and Physiology) I deepened my knowledge of yoga and was trained in the most exciting and creative ways to pass this knowledge onto others. 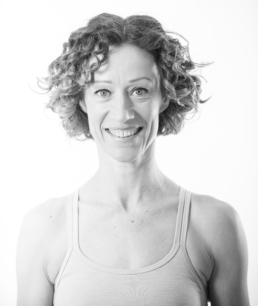 I now assist trainees on the Triyoga course and continue to develop my personal practice and teaching skills through attending classes, workshops and further training courses.